Driver CPC training stands for Driver Certificate of Professional Competence. It is a standardisation course which has been introduced by the EU to ensure that those who drive passenger and haulage vehicles for a living possess the required level of skill. 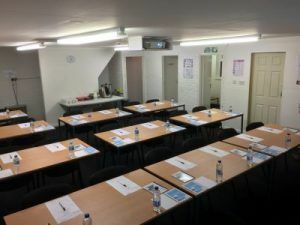 At Wayside Transport, we regularly deliver driver CPC training courses, so give us a call on 01202 873 911 to find out the next dates. What do you need to know about driver CPC training? There’s no doubt that there are many benefits to driving HGVs for a living. On top of an attractive salary and flexible working hours, lorry drivers benefit from excellent rates of pay and lots of career advancement opportunities. Whether you are looking for a change in career or you already possess an HGV licence for personal use of a vehicle, CPC training is an obligatory rite of passage. Without it, you won’t be qualified to drive HGV vehicles for a living. 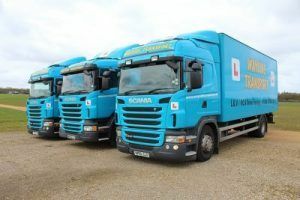 If you want to drive HGVs professionally, you will first need to go through the processes of passing your practical test – that means passing the theory tests and putting in the recommended number of training hours with a professional driving instructor at Wayside Transport. By the time you have passed your practical test, you will have completed the hardest part of becoming a HGV driver. The CPC training will ensure that you can utilise all of your learned skills within a professional environment to a high standard. What are the two levels of CPC training? Here at Wayside Transport, we provide two different types of CPC training. For those that passed their category C licence prior to 10th January 1997, they have what the industry calls, acquired rights, and only require a Periodic CPC. It involves 35 hours of classroom-based learning, and you cannot fail the course. For those who obtained their licence after 10th January 1997, you will need to complete an Initial CPC, which includes a case study theory test and a show and tell practical test. The CPC qualification is only valid for 5 years. Once the time is up, you will have to sit a refresher course, which is known as Period Training. We offer courses by an approved training provider, which can often be tailored to the individual needs of an organisation. For example, we can supply specialist training for those that drive HGVs on a building site. Why should you choose Wayside Transport? We are committed to ‘steering people the right way’ by coupling high quality training with industry expertise. Delivering the latest driver learning techniques and providing valuable practical training time, Wayside Transport is known locally for its high pass rates and dedication to helping the next generation of lorry drivers become confident in their driving ability. Working with both individuals and organisations, we are passionate about providing tuition that is tailored to specific requirements. Whether it’s working alongside the local ambulance service or helping enthusiastic drivers to achieve their career goals, the team at Wayside Transport are ready to provide tuition that is second to none. As a Driver CPC approved centre, you can be absolutely certain that you will receive the highest level of training. Partnered with South Western Ambulance Service and Dorset & Wiltshire Fire and Rescue, we are heavily involved in the learning and development of the local emergency services. You only need to take a look at our raving reviews on our testimonials page to discover how Wayside Transport’s teaching methods are helping people to achieve their career goals and aspirations. To find out about any up and coming driver CPC training course dates, give us ring on 01202 873 911. Alternatively, contact us using our online form, and make sure to ask any questions that you may have regarding any of our services.